Mouton Cadet Rouge is a red Bordeaux wine that is made in an easy drinking style and serves as an ideal introduction to the delights of Bordeaux. The original Mouton Cadet was marketed in 1930 after the Ch. Mouton Rothschild (Pauillac) 1927 vintage was declassified as the harvest that year was not considered good enough to put on sale as the "real thing". However the reaction in Paris was such that Baron Philippe decided that there was a potential market for a fruity, easy drinking style of wine that did not need to mature for many years in the cellar. Subsequent vinages have been made from grapes sourced across the region. This vintage is a typical Bordeaux blend of 65% Merlot, 20% Cabernet Sauvignon and 15% Cabernet Franc. 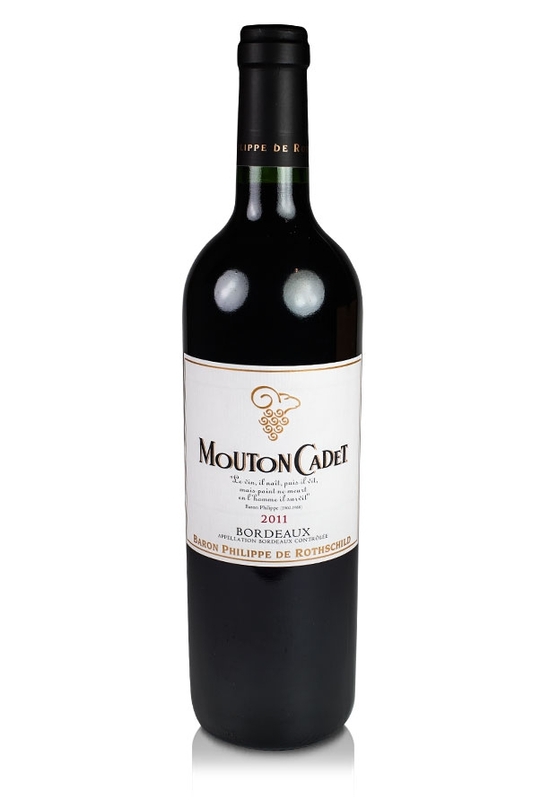 Mouton Cadet Rouge is a supple and fruity red wine with a nose of red fruits including raspberry. The mouth-feel is silky with decent fruit and a slight licorice character to the tannins. Enjoy this Bordeaux red with roast chicken and roasted red meats. Why not try a bottle or two with Sunday lunch or dinner?